Andrew Hazzard is an Australian actor, voice and singer. He has received critical acclaim for both his stage and screen work, and is a two-time Heath Ledger Scholarship award nominee. His first leading stage role was in the musical Spring Awakening with the Sydney Theatre Company, under the co-artistic directorship of Andrew Upton and Cate Blanchett. A supporting role in John Duigan’s feature Careless Love marked his film debut. Duigan is the filmmaker behind a number of Australian classics, including works with Nicole Kidman, Hugh Grant and even a young Baz Lurhmann before his directing career. 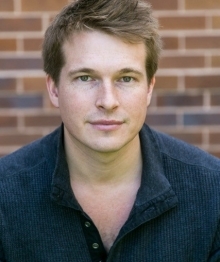 He’s had guest roles on Australian television series Love Child, Crownies, Home & Away, Dance Academy, My Place, Cops L.A.C, All Saints, and Underbelly: The Golden Mile. Prior to all this he had a supporting role in the Australian premiere of High School Musical, the stage adaptation of the highly successful film, for Disney. Since joining RMK his voice work has spanned commercials, narrations, presentations and promos – for major brands and corporations, both national and international, across a wide range of sectors. He has a diverse client base of advertising agencies, radio stations, television channels and companies. He is a graduate of Actors Centre Australia, a college in Sydney where Hugh Jackman holds patronage. Andrew’s got a great naturalistic quality to his voice that works across a wide range of projects. With his acting background he’s got that great combination of sharp instincts and takes direction really well. If you’re looking for someone professional and easy to work with, that’s him in a nutshell!